Everything you are doing right now is a waste of time if you don’t listen to Paul Kagame’s Opening Remarks at the 12th National Leadership Retreat at the Rwanda Defence Forces Combat Training Centre in Gabiro, Rwanda on March 1, or share it around. Again on patience; it’s just over one hour forty four minutes but is such a valuable listen that it is TOTALLY worth the time spent – more than once! We’ve heard it said over the years that Kagame leads Rwanda like a business-type Chief Executive Officer, and this speech underscores that once again, so kudos to the man. But I realise, of course, that the lessons I infer may not be the same ones that others will, so I must share my interpretation and favourite quotes here for anybody else to use. 2. “…this time around we are here for serious business; for change that must take place. That’s what brought us here…and that we are not just in a hurry to leave this place and go back to business as usual.” The man demanded that the collection of senior government officials at the retreat should come up with “something different” for our people (read clients or customers or citizens or colleagues, depending on what you do). 4. In a tongue-in-cheek comment on workshops, even though this one was obviously useful, he went: “I think we need to extend this period and sit here and reflect…meditation. To have time to meditate and really think; because I don’t think you have time to think seriously. You just need to be kept in one place doing nothing maybe and to feel how good it is to do nothing, and reflect over that, and then maybe when you go back you will do something…” Kagame’s wit is cold, but note that there is a difference between ‘thinking’ and ‘thinking seriously’. 5. A meeting or workshop “can’t be an end in itself. It must be a process to lead us to something more concrete. That’s what I want to hear and that’s what I want to see.” The man is intelligent; too many people hold meetings for the purpose of holding meetings – a subject I am weighing in on during coming weeks. 6. Kagame tells his people, as we should ours, that he is “not capable of changing anybody here to be different or to think differently, but I am capable of keeping challenging you!” THAT is the role of a leader, and when your leader challenges you, take the challenge rather than complain or gripe or do the usual things people do. 7. “People here everyday repeating themselves, being defensive, talking too much, everybody has explanation…everybody is right… it is the other one who is wrong, it is not him, it is not her…and we keep at that for all these years. Nobody takes responsibility, nobody owns up…” THAT is the quagmire many business environments (obvious in governments!) get into, and as he says, nothing gets done! 9. “And it is ALL OF US. We see it, we know it, we let it pass! We know what goes wrong every single day; but we expect that somebody else is going to do it; and somebody else is YOU. There is no other person going to do it!” Collective responsibility; and he keeps coming back to this. “This Rwanda of ours, who is going to do it for us? There is nobody interested in your business, in your country. If YOU are not interested, you are dead.” <—substitute Rwanda with your company, family name, anything, and you will get it. That idea that “They” are supposed to do this and “They have not done that…” and the thought that some donors or business angels will solve a problem? Drop it. It’s YOU! YOUR RESPONSIBILITY. 10. “How do you switch off and nobody can find you to deliver things we have the possibility for? I am not asking you to deliver impossible things! How can we fail to deliver on what we have means for?” Good question. And one we must ask everyone whether in business or politics or service delivery. 11. “You are just lost in yourselves…several individuals operating all over the place, it’s not we as a system. You are having a problem realising a system to work as a system. It is just scattered individuals minding their individual business and not the business of this country.” <—teamwork & collective responsibility again. 12. Meanwhile, throughout the tirade, a few people interject with explanations and suggestions but Kagame doesn’t accept any of them – not just out of anger, but because he wants work done, NOT explanations of why work cannot get done. <—again, do you recognise this? And he doesn’t let anyone wriggle out of the blame-sights; not that blaming is a good thing, but on the receiving end taking responsibility so a fault can be fixed IS useful. 13. At one point, the man insists that one government official should tell people how much time has been lost. This is another factor that many employees don’t fully understand – time lost can never be regained and is invaluable, regardless of the opportunity ahead. Always make use of the opportunity you have NOW! 14.”I am putting this question to you not because you were there as individuals, but because as institutions you lead, you were there. What do you think goes wrong and why does it continue getting wrong?” <—and THAT was the crux of the matter, THAT’S what the retreat was supposed to address, summarised into one simple question. 15. “We can’t keep repeating ourselves and doing nothing about it.” <—again and again, do YOU recognise this at YOUR place of work? If so, share this link. 16. “It’s the young people, it’s the old…there are many categories. It’s those who think they know everything, it’s those who are struggling…but you find they all behave the same way! We have the young people who are always making everyone aware that they are young people. Yes, I don’t mind, I am grateful, but what are you delivering? Young is good but it’s even better when you are using that young age to deliver something, because you are quicker, you think faster, you think better, you are educated…Well-educated, fine! But what is your being well-educated delivering to these people…? If you are not doing what is expected of you, it doesn’t matter how much educated you are; you probably wasted that money that took you to school!” <—we’ve talked about this here, haven’t we? 15. “You better listen more to the one who criticises you because it challenges you to think. Critically. And see what you need to change and improve yourself. Don’t listen too much to those who praise you.” <— surround yourself with critics rather than friends and praise-singers. When people complain about something, don’t go on the defensive, but instead WORK ON IT. 18. Underscoring that point: “You should be more daring. We shouldn’t be comparing ourselves with the worst. You should be more daring than that. You should be comparing yourself with the best and saying how much more do I need to do to be there?” Aim high with focus and seriousness, chaps, in whatever you do. 19. “A system is just the aggregate of different parts. If the different parts are sick you transmit that into the system. You delay a decision or you make a wrong decision, it transmits into the system. And we are failing as individuals to take stock of our own weaknesses and problems that we transmit into the system. Get rid of these weaknesses and problems as individuals!” <—YOU have an individual role which you must play correctly and well, and if WE all do our bit then the entire system, company, government, country will run well. 20. “You can’t be a mayor or a governor or a minister or a… if you are hurting the people you are leading, you’ve already gone against the very constitution. Justice must apply…”<—this as a reference to corruption in high office, and we just have to pray that it becomes a mantra taken up right across the continent! 21. At this point, Kagame whips out some logic that must make having a big government job in Rwanda a sleepless affair. According to the big man, people who know what is going wrong and yet do nothing about it or don’t raise the red flag are probably doing something wrong themselves or too blind to be in positions of authority themselves. “You are not supposed to be in that place in the first place. If you are not part of it but you don’t see it…there is something wrong with you also. Otherwise, if you are not part of it and you see it, what stops you from taking action or initiating action?” <— it is not easy having a big government job in Rwanda, luckily for the citizens there! 22. (In an exasperated tone): “Your characters; what are they worth? Some individual character….? It’s like, ‘You have to accommodate me the way I am whether you want it or not’. I don’t want it; period! Why should we be hostage of your terrible characters? Why should Rwandans (replace with YOUR country, YOUR family, YOUR customers and clients) become hostage of your bad character, or your individual profit and selfishness…?” <— see, he refuses to accept the justification ‘people are like that’; the way YOU should refuse to justify or accept silliness in anyone as a character trait. 23. “Everybody is full of self-importance and doing nothing for this country…for this country that has suffered the way it has! Our people. I’m not talking about YOU so much; I’m talking about the more than 11 million Rwandans who are there who even know we are here thinking about them, planning to do things for them and they are there thinking about individuals here who are just lost in themselves and doing petty petty things.” <— gwe, this is talking RAW. But if you believe you are important, Kagame reminds you that you are NOT as important as the people you should serve, who look up to you for that service. 24. “Something negative will always happen. We should all look for reasons why something should NOT be done or should NOT happen, instead of finding reasons for why something (wrong) should happen. (We) should drive in the direction where we say ‘something should be done to remedy this’.” <—if we collectively pull in one direction, if enough of us push for the correct action, we should be capable of making a marked difference. The challenge now is to get as many of us as possible gunning for ‘the right thing’ and ‘the general good’. 25. “I am here to discuss those you call ‘in spite of’; we have achieved this ‘in spite of this’. If you say Rwanda has made progress in spite of this weakness my time should be spent on ‘this weakness’, NOT what we have achieved. what we have achieved we have achieved!” <— DON’T rest on your laurels, as the adage goes. Don’t be satisfied with past achievements and become complacent. Don’t stop aiming high. Don’t be content with a hit here and there. 26. “It’s not just achieving that I am thinking about. It’s two things: 1) How do we sustain what we have achieved? 2) How do we deal with ‘in spite of’ things so that we make more progress?” <— like Kagame, be clear and focussed about your targets/goals/objectives. He refuses to budge from his position over close to two hours in spite of the arguments people, including persuasive ones like Andrew Mwenda, put forward. 27. “If we have delivered things 70% and we have not delivered things 30%…” <— the man is NOT easy to please; and this is commendable. A good leader doesn’t settle easily for apparently good results. 70% good actually means 30% bad – it’s a matter of perspective! 28. “If we have delivered things 70% and we have not delivered things 30%, 70% of my worries are on the 30% we have not delivered and 30% of my worries are on the things that have been delivered. I have more worries about the few things that have NOT been delivered, and less worries about things that have been delivered. The things that have been delivered, my worry is sustainability. But not delivering on the 30% may actually cause the problem of sustainability for the other ones that have not been delivered.” <—again, perspective. He focusses his thinking rightly on what matters to him and why. 29. At one point, Kagame reminds everyone how after a trade mission to the UK, a foreign investor flew into Kigali from the UK, using his own money, to ‘follow up’ on a matter that Rwanda should have had more of an interest in. <— does THIS remind you of anything, in YOUR country or YOUR company? Like a client ‘following up’ on a sales offer your people made to them? 30. “When we went to UK, we did not go as Minister so-and-so individually or President individually…we went as Rwanda as one system!”. <—again, the collective and responsibility. When your employees go out to meet clients do they realise that they do so as THE COMPANY and not just in their individual capacity? When your Sales Executive sends an email do they understand that that email has gone out from YOUR ENTIRE COMPANY and not just humble, little, old so-and-so? 31. “We went there, we came back. 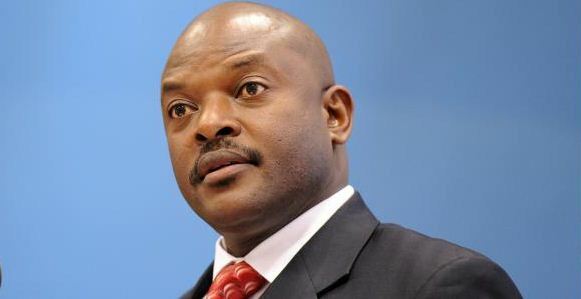 But we did not really have a plan of how we are going to attract people as Rwanda, not as ‘when Francis remembers’ or ‘when Kanimba decides to remember’.” <—ALWAYS conduct deliberate planning for official activities, whether country trade promotion or company sales! 33. “…but this is something being discussed MONTHS after the meeting.” <—do you recognise this as well? An issue being raised in a meeting and not tackled that very day or at least the next, but then being raised again weeks or even months or even YEARS later? 34. “I thought you were exposed to this modern world we live in but when you come home it’s like…to not even be sensitive to this time wasted since October?! Instead of you, these ministers, to have sat when they came back immediately in October and work out something and connect with whoever they need to connect with, they just came and switched off until somebody else from outside came and was literally begging us…on something that is obvious. And even then someone can delay them saying ‘we are still thinking about it or what do do…'” <—tell me you DON’T recognise this in your company, country or even your home! 35. “You fight with an army you have. If you have a sick army, that’s the one you have; that will be reflected in the battle. You cannot have a sick army and fight a war as if you have an army that is quick on their feet. The sickness in the army will be reflected in how you fight the battles. How things can be done and should be done is known, but the gap arises because of how people translate what they know into what they do and should do.” <—this, being part of the famous exchange with Andrew Mwenda, and is self-explanatory. 36. “We have to call a spade a spade…” <—he didn’t just call a spade a spade, he spent almost two hours naming an entire workshop, literally! As I said, if you don’t stop and listen to this speech to gain motivation; if you don’t share it with all your workmates and employees, and employers and members of parliament and government technocrats on the continent of Africa, you are wasting both time and space just being alive. 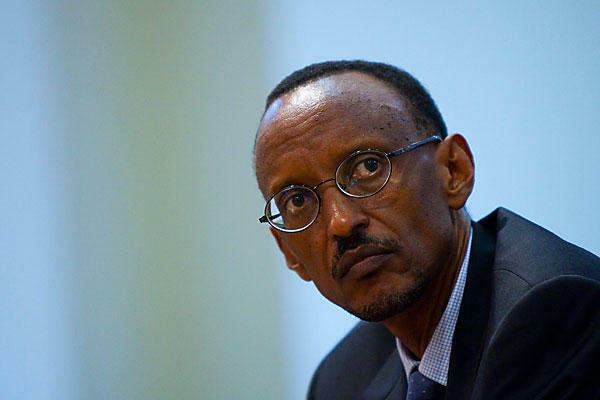 Paul Kagame was talking to ALL OF US.